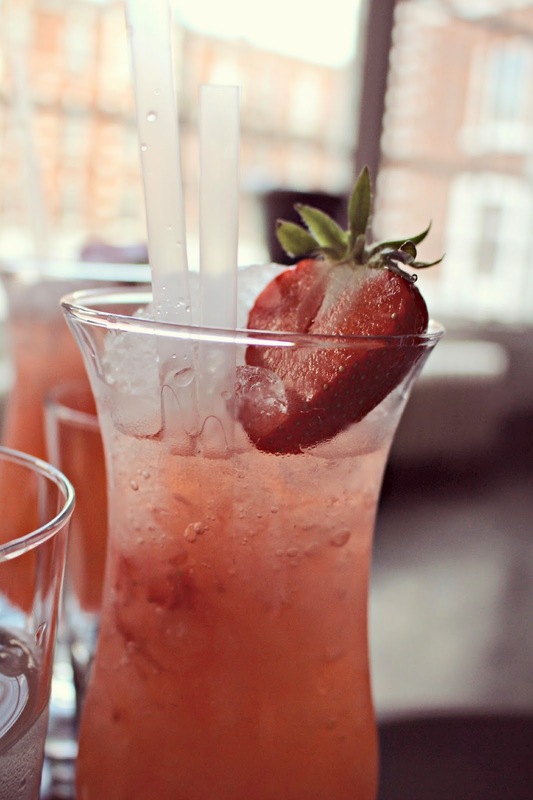 The bar at Bluebird in Chelsea is a destination in it’s own right, with the perfect location on the glamorous King’s Road it is the ideal spot to meet friends, enjoy pre-dinner drinks or party into the night. 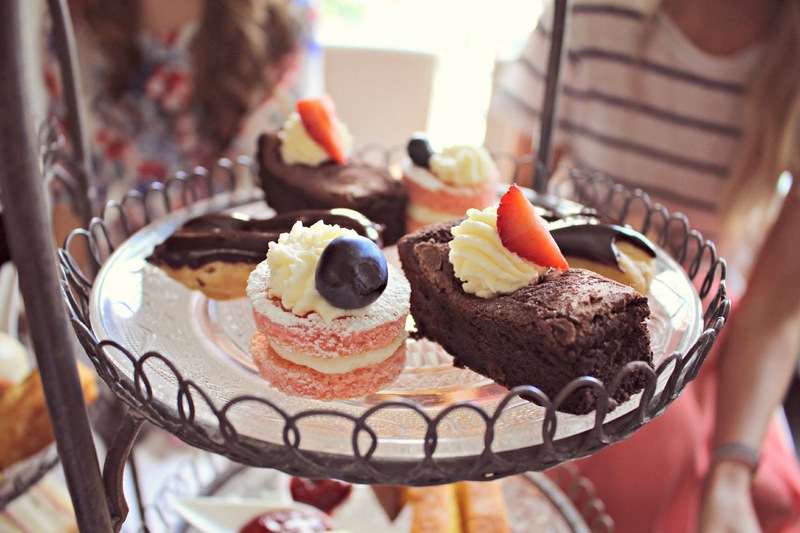 The afternoon tea at the Bluebird is an afternoon indulgence that is well worth taking a break from your shopping for, so this Sunday we decided to pay the infamous cafè a visit to put the try out the tea. The location in the Bluebird bar offers views over the King’s Road, while you relax in comfy sofas. The bar area has a cool, sophisticated graphic design and is light and airy, making it the perfect summer-day stop off. We chose the SW3 afternoon tea, which came with the Bluebird Signature cocktail of Rose Petal vodka, muddled and shaken with fresh strawberries, Lime, Sugar Cane syrup, topped with Moet & Chandon Rose Champagne. The tea selection includes whole peppermint leaf, flowering osmanthus, herbal infusions and whole chamomile flowers, as well as the traditional favourites. 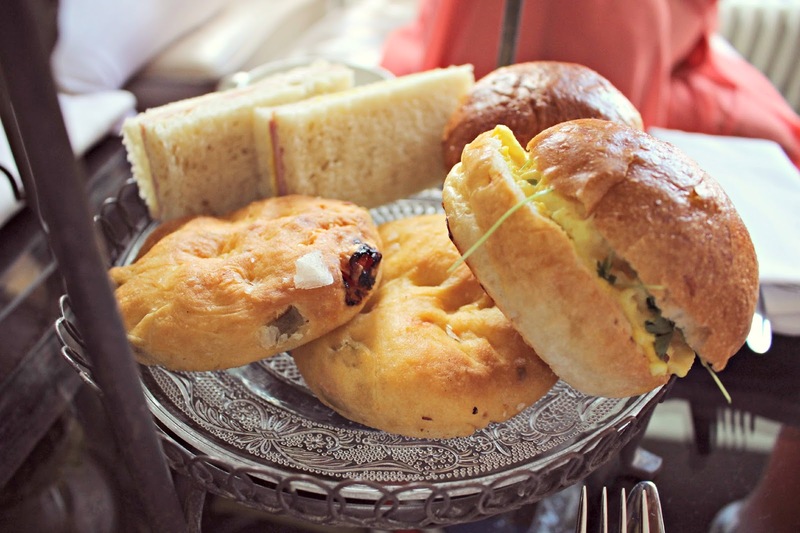 We dug into the assortment of finger sandwiches which included the usual smoked ham & mustard, and egg mayonnaise, as well as a crispy olive focaccia bread. 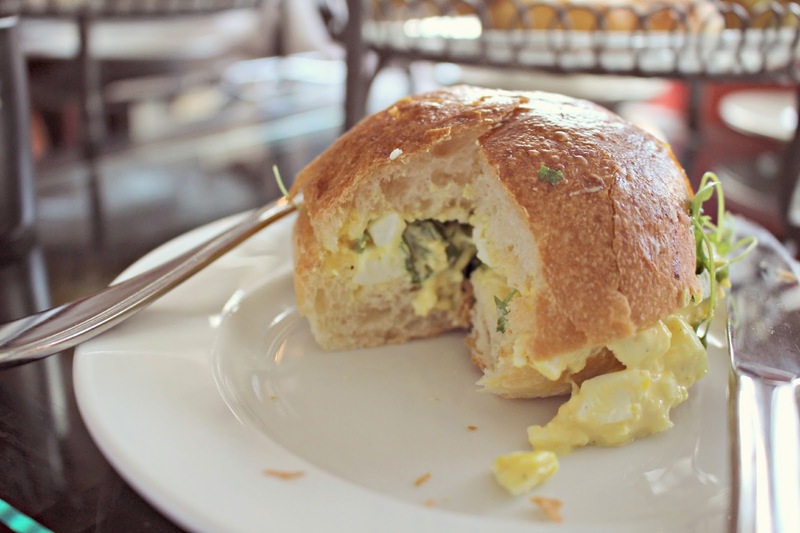 They were nice but nothing to write home about, and boy did I miss the good old coronation chicken! It’s not surprising that Bluebird has stuck to the traditional options, as I can imagine their location means they have to cater for tourists, yummy mummies and children alike! With our savoury appetite satisfied, we moved on to the next tier! Fruit scones with jam and clotted cream followed, as well as a slice of lemon cake and a mini madelaine cake, we were almost too full to start on the sweet treats! Cocktails and cakes are two things a girl can never say no to, so we dug into the sweet selection, which included delicate eclairs, mini brownie bites and bite-size strawberry sponge cakes. 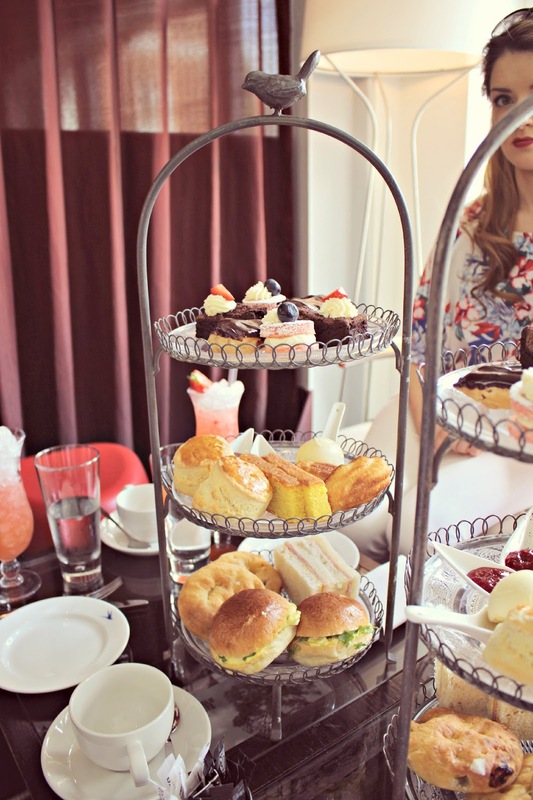 Overall the tea is a lovely way to catch up with friends in a lovely environment, without the busyness of some of the more popular afternoon tea spots, although not the most delicious or exciting afternoon tea out there. 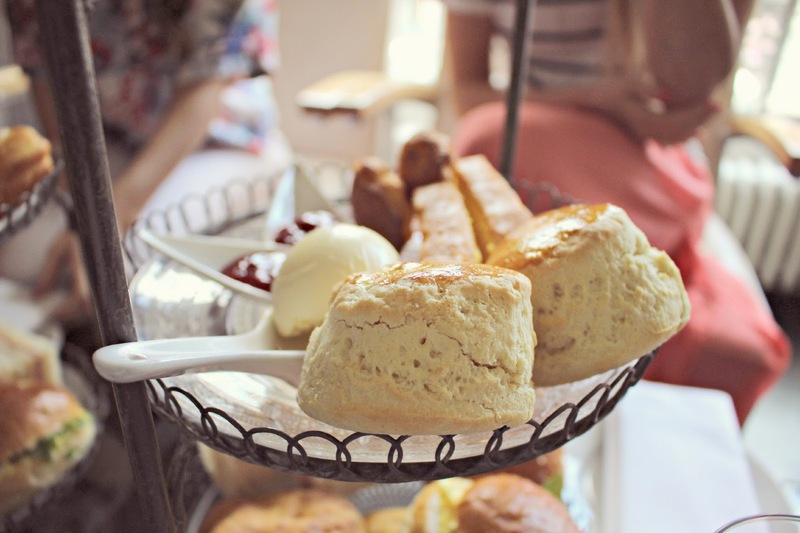 The location is what you come for here, and while there is nothing wrong with the tea, there are other places in town that offer a more exciting afternoon tea! Afternoon tea on a summer day calls for a light day dress, so I chose this beautiful cotton White Broderie sundress from Dorothy Perkins c/o. 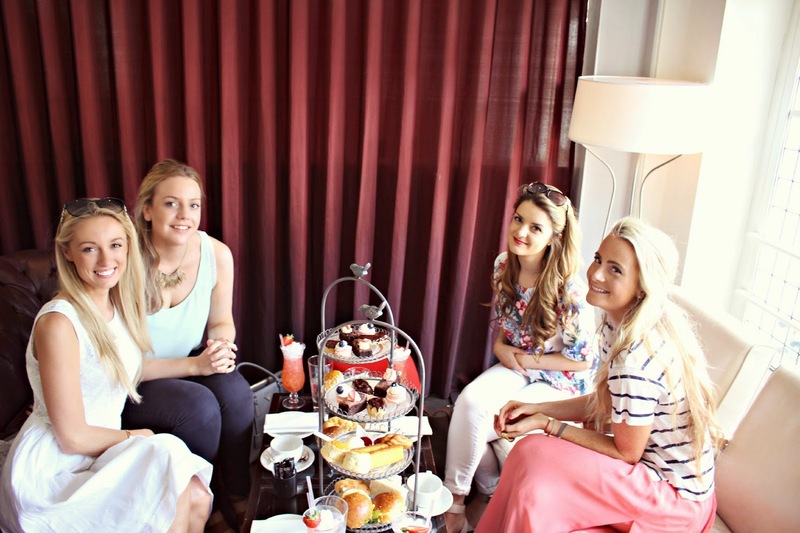 Dorothy Perkins are soon to launch ‘Destination Dress’, the go-to place for dress-worthy occasions such as an Afternoon tea! 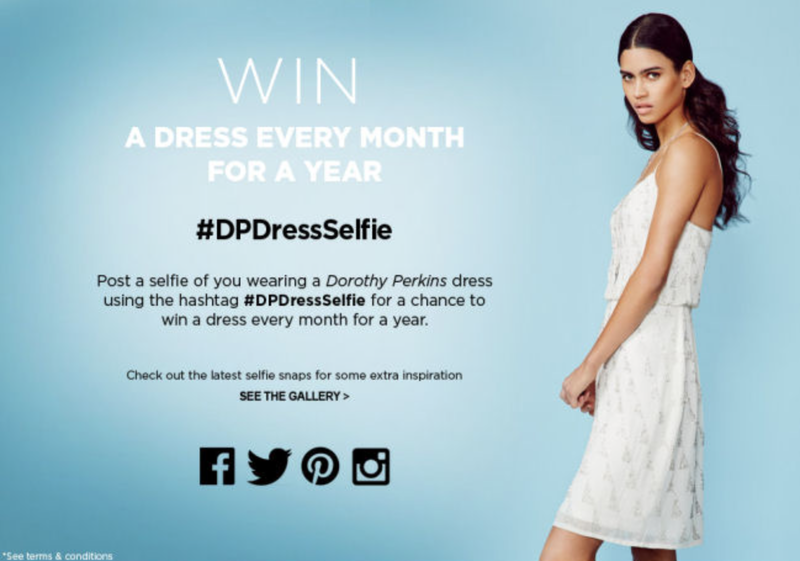 To celebrate, the brand are launching a competition for one lucky person to win a Dorothy Perkins dress every month for a year, by uploading a #DPDressSelfie, so pull out your favourite Dorothy Perkins dress and take a selfie to be in with a chance of winning! Upload to Twitter, Facebook and Instagram and the best will feature in a gallery on the Dorothy Perkins website. You can enter this fab competition via this link. Next Post Summer Skin: Battle of the BB Creams!